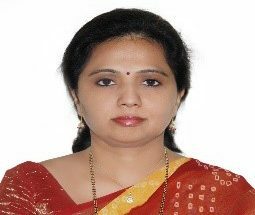 Dr.Smitha Rao has around twenty years of experience in teaching, administration and research at reputed universities in India and abroad. She has taught students from undergrad level to Ph.D. Scholars. During her teaching career she has served in various capacities like Director, Professor, Program Coordinator etc. Her research focuses on Machine Learning, Big Data Analytics, Digital Marketing, E-learning, Digital Image Processing, Reversible Watermarking Techniques etc. She has published around five papers in reputed peer reviewed journals. She also has six international conference presentations to her credit including Springer, IEEE conferences, LINC at MIT Boston etc. She is also a ‘Sun Certified Java Programmer’ and ‘Sun Certified Mobile Application Developer’. She has conducted several workshops and training programs for faculties and students.